Pierre Westie: “This first story is a reminder that we need to always keep an eye out for our smallest pets. A hungry hawk decided to swoop down and pick up a tiny Chihuahua. The bird must have gotten tired of carrying the squirming pup because he dropped him in mid-air. Bentley: “As we all know, dogs and cats surrendered to shelters don’t always get adopted as quickly as we’d like. 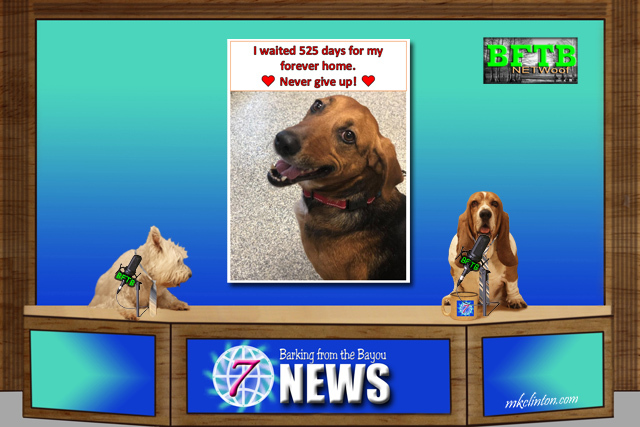 That’s how it was for Cassie, a five-year-old black & tan hound and shepherd mix who found herself waiting for her forever home a total of 525 days. Pierre: “A cat in Boston decided she enjoyed visiting the headquarters of the city's Police Department SWAT team on a daily basis. They gave her the name SWAT Cat and made her their unofficial mascot. 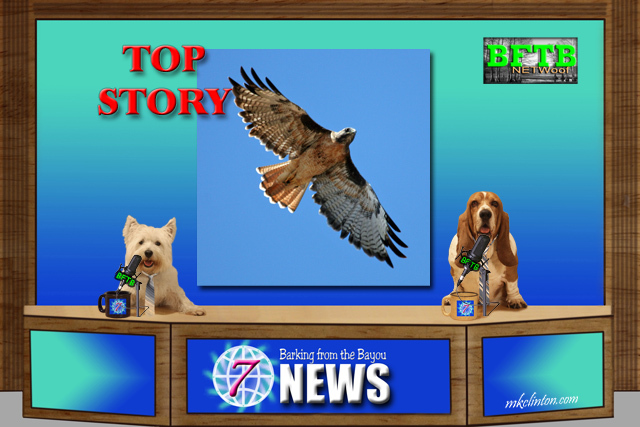 Bentley: “This last story proves that no matter how many bad people we read about, there are still some really nice folks all around the world. A dentist in Istanbul, Turkey has been giving out blankets to homeless animals to help keep them warm. The area is known for its warm weather but has been experiencing heavy storms and snow this month. He has organized a group to assist him in trying to provide some warmth for as many dogs and cats as possible. 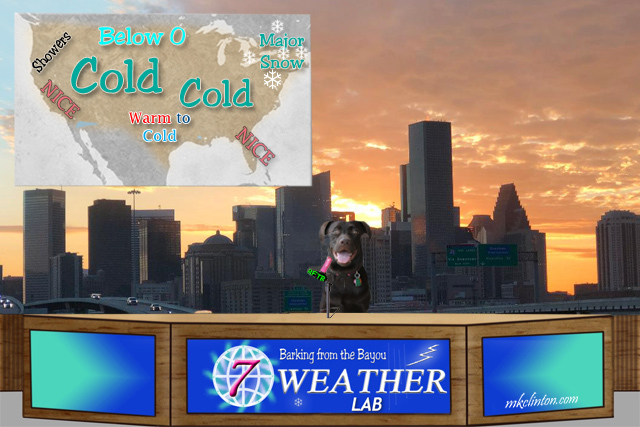 Paisley the Weather Lab: “I have one word for most of the country and that is COLD!! Y’all aren’t going to believe this but the windchill in Fargo, North Dakota could be 50° below zero! Our friends in Chicago can expect a high on Wednesday of -15°F. The forecast for most of the middle and northern parts of the U.S. will be cold due to the Polar Vortex sweeping down bringing Arctic temps. The Midwest could remain below zero for up to 72 hours straight! I hope that everyone remembers to provide warm shelters for their pets. There is no excuse for ANY animal to be out in weather this cold for an extended period of time. The west coast will be nice but there are some showers in the Pacific Northwest. Here in the south, our weather seems to think it is winter a couple of days and then it feels like spring. We are expecting a lovely week all along the Gulf Coast. 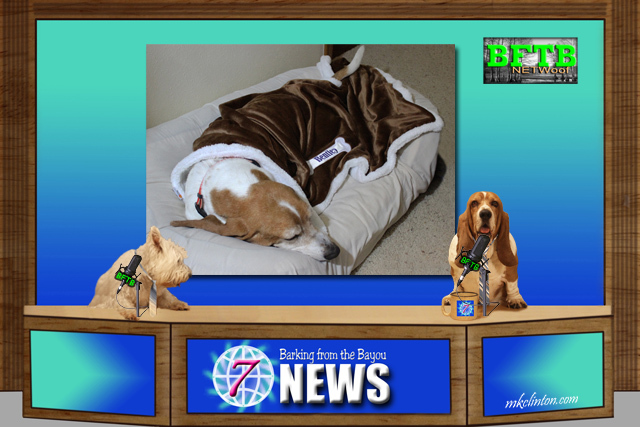 Bentley: “Thank you for joining us for BFTB NETWoof News. We hope that you continue to visit all week for fun, smiles, and giggles. You might even pick up a few new pet parenting tips while you’re here! Do you have an Echo Dot? We LOVE ours and use it way more than I ever imagined. You can play Jeopardy, tell Alexa to add items to your shopping list, have her play your favorite tunes or answer a question. They are incredibly useful and right now they are on sale! We know hawks are dangerous for small dogs and little puppies. You have to watch out. Off into the deep freeze for us the rest of the week, but we don't mind. It will warm up the end for the weekend. Have a fun week. Yay for Cassie the dog finding her fur-ever home! Hope everyone in the upper Midwest is able to stay safe and warm. Yay for Cassie! That poor tiny Chihuahua. We know that hawks have to eat too but that poor pup. We love to remind ourselves how many good people there are who go out of their way to keep animals warm and comfortable. Angel Madi had a condo...made out of a box. Her dad cut windows in it and used top and bottom of the box flap as an awning and patio. That dentist is a great man!!! We bet there will be a lot of furries out there in the country this week who will be wishing they had a nice warm blankie. Stay warm. We are so glad to hear Cassie found her furr-ever home...Wahoo!! We have more rain this week...yuck! Yeah for the SWAT kitty!!! I hopes everyone is safe and warm and has a warm blankie this week ~ if not, they can come here, cause we have nice temps, if not the return of more rain. sigh. wells, I did gets almost a week of dry furs!! BOL!!! There are a lot more hawks around now, and they're not afraid of living in our neighborhoods. We've had a Coopers hawk around for many years who catches the birdies and leaves piles of feathers. His name is Cool Beans Cooper. Ghostwriter sees red tail hawks all the time on her way to work. It's only a matter of time before they learn to go after our smaller pets. We're at home waiting for the next storm today. Not too concerned. It's typical WNY winter weather. Stay warm guys!